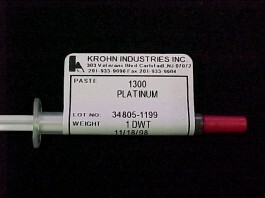 How to use solder paste - Krohn Industries, Inc.
Krohn solder paste is a homogeneous blend of micro fine spherical solder powder, flux and binder available in gold, silver, platinum, palladium, copper, and low temperature formulations. 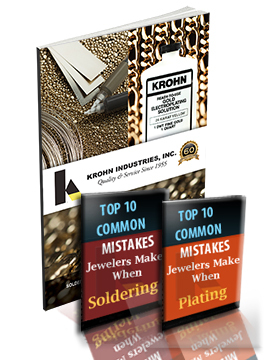 The unique properties of paste solder make it perfect for use on, jump rings, in chain manufacture, on hollow items, attaching clasps and earring posts, repair work, and more. Remove the tip cap. Press and twist the needle onto the syringe. Save the tip cap. When not using syringe on the bench for several days remove the needle and replace the tip cap on syringe. Store syringe in a cool place. Save the needle for further use. Store the needle with the syringe to prevent cross contamination with other paste solders. Keep the needles clean. 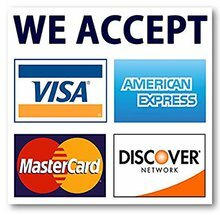 If the needle clogs it can be unclogged with a fine wire, or cleaned in an ultrasonic cleaner. 1) Prepare the joint by removing all oil, grease, polishing compound and excessive oxides from the joint area. 2) Joint clearance (gap) should be as small as possible. The joint should be flat, smooth and free of burrs. The two pieces being soldered should touch, as paste solder will not fill large gaps. 4) Apply heat to article away from the joint, moving the torch from side to side across the joint to avoid overheating the solder. 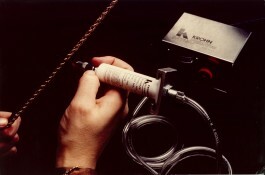 Allow the piece to heat the paste solder. Do not directly heat the paste solder. (This will cause the paste to “slump” and move away from the joint.) As binder “burns off” and the paste dries you will see the flux spread around the solder. Now move the flame in on the joint area continuing to move the torch from side to side. 5) Remove the flame immediately after solder flows. 6) Pickle with Sparex (R) to remove fire scale and finish the article as usual.